As one of the most successful, productive academic emergency medicine programs in the country, the U-M Department of Emergency Medicine’s (EM) research capacity has flourished in the last decade. EM’s broad-scope strength in research has led to high-impact initiatives and with a hub of activity located at NCRC, momentum is picking up thanks to synergy with research across campus. EM is a leader in training future researchers, with five faculty currently funded with K-equivalent awards. In addition, U-M recently received a prestigious K12 training grant that will ensure a continuing pipeline of future EM researchers by providing a platform for transitioning junior EM faculty to independent careers in federally funded research. For 2 of the past 3 years, EM has been ranked first in the nation in NIH-funded emergency research. U-M EM has the largest number of NIH-funded principal investigators of any emergency department in the country. In fact, it receives more than 12% of the NIH funding awarded to emergency medicine PIs. EM research spans from prevention research to ground breaking critical care research in its Emergency Critical Care Center (EC3), which is the first and largest Emergency Department based ICU in the country. Faculty publish in top-tier journals, and publications have steadily increased. 5 EM researchers are among the top 50 most highly NIH-funded emergency medicine researchers in the country. EM houses investigator-initiated clinical trials (such as the EROCA (ExtraCorporeal CPR for Refractory Cardiac Arrest) study, but also leads and participates in large national clinical trial networks (NETT, PECARN, StrokeNet, PETAL). U-M leads the only CDC-funded injury control research center housed in an emergency medicine environment. Led by Mahshid Abir, M.D., M.Sc., the ACUTE Care Research Unit (ACRU), in partnership with the U-M Institute for Healthcare Policy and Innovation (IHPI), applies quantitative, qualitative, mixed methods, and community-based participatory research to study intra- and inter-setting dynamics and improve Access, Costs, Utilization, Transitions, and Effectiveness (ACUTE) through multidisciplinary health services research. 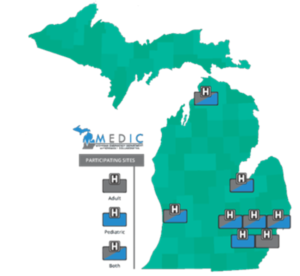 Supported by Blue Cross Blue Shield of Michigan and Blue Care Network, the Michigan Emergency Department Improvement Collaborative (MEDIC) is a quality-improvement program that collects/analyzes data, identifies best practices, and improves overall performance. MEDIC is an integrated adult and pediatric emergency medicine-led project encompassing the full spectrum of care across diverse emergency department settings, including academic and community, urban and suburban, and general and pediatric hospitals. Led by Keith Kocher, M.D., MEDIC measures, evaluates, and enhances the experience and outcomes of patients seeking care in emergency departments across Michigan. MEDIC is recruiting new hospitals annually. Regular consortium meetings ensure engagement of all sites, as well as enable dissemination of new findings, and shared knowledge and experience of site participants, combined with timely feedback on performance on quality measures, helps inform improved patient care. The U-M Injury Center is a comprehensive research program working to reduce injury–the leading cause of death for people ages one to 44–through research and education. It is one of only nine CDC-funded injury centers in the country, and it has called NCRC home for almost four years now. Ongoing research projects focus on making young drivers more safe, providing effective interventions to prevent opioid misuse and youth violence, and developing resources to reduce incidence of sport concussion in youth. In addition, the Center is actively engaged in developing a significant surveillance system to identify opioid overdose incidents in real time, and is working with both law enforcement and public health agencies to develop responses that support communities. The Center is currently working to produce a massive open online course (MOOC) on pediatric injury prevention, to which thousands of medical students, clinical staff, and public health practitioners across the country will subscribe. The Center also produces educational events throughout the year to disseminate best practices and evidence-based interventions for injury prevention. MCIRCC and researchers from across Michigan Medicine welcomed cardiac arrest researchers from the University of Oslo’s OSlo CArdiopulmonary Resuscitation research network (OSCAR), a global leader in cardiac arrest research, to the University of Michigan. The visiting researchers, alongside counterparts from U-M, presented research in resuscitation, cardiovascular emergencies and critical care. The conference paved the way for what will hopefully be an ongoing collaboration between two of the finest research institutions in the world, improving outcomes for cardiac arrest patients in the future. U-M and Peking University researchers are also working together, developing a clinical research platform that will enable multicenter interventional clinical trials in ED settings. 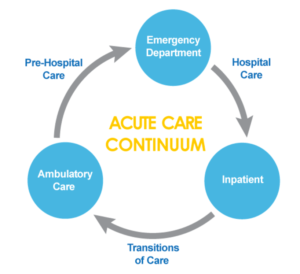 The Emergency Critical Care Center (EC3) at Michigan Medicine provides a unique collaboration opportunity with the well-established Resuscitation Unit and Intensive Care Unit at Peking University. Dr. Prashant Mahajan joined the Department of Emergency Medicine in October 2016 to engage, facilitate and push the needle of the research mission of the division of Children’s Emergency Services at C.S. Mott Children’s Hospital. He is the Vice-Chair of the Department of Emergency Medicine, and Section Chief of Children’s Emergency Services. A Professor of Emergency Medicine and Pediatrics, he also serves as the Chair of the Section of Emergency Medicine for the American Academy of Pediatrics (AAP). Much of Dr. Mahajan’s work has focused on identifying novel diagnostic approaches to the investigation of bacterial and non-bacterial infections in the emergency setting. For over 15 years he has led a multidisciplinary team of investigators with expertise in emergency medicine, infectious diseases, immunology, genomics, and bioinformatics to develop novel tools to change the paradigm in the evaluation of febrile illnesses. Dr. Mahajan brought with him to U-M an AHRQ award to investigate clinical decision making, safety, and quality in the emergency department. This research focus on errors in decision-making in the context of quality of care for children in the inpatient and outpatient setting, and on understanding the impact of systems and processes that preclude us from delivering high-quality care. 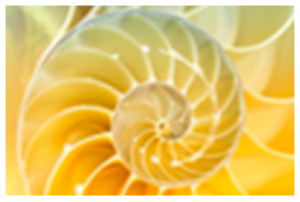 Individually, each group provides national and regional leadership in their fields, and each is known for their multidisciplinary research approach. Their co-location with other groups at NCRC facilitates interdisciplinary research collaboration that would not be possible elsewhere. Such interdisciplinary collaborations include studies with Dr. Robert Bartlett, examining novel strategies for treating cardiac arrest using extracorporeal cardiopulmonary resuscitation (ECPR), and Dr. Hasan Alam, studying traumatic brain injury biosensor, both from the Department of Surgery. EM is always looking to expand its research portfolio. To that end, Thomas Sanderson, Ph.D., a newly recruited faculty member, will be joining EM in August of 2017. Dr. Sanderson’s research will focus on brain damage caused by cardiac arrest/resuscitation, mitochondrial dysfunction/modulation of electron transport, and chain activity to confer neuroprotection. In celebration of the department’s expansive research, as well as to gain a better understanding of the impact and full spectrum of the department’s research, the second annual William G. Barsan Emergency Medicine Research Forum, named for the department’s founding chair, convened at NCRC again in 2017. The forum featured a keynote address by Dr. Lynne D. Richardson from The Icahn School of Medicine at Mount Sinai (NY), one of the most accomplished investigators in emergency medicine and a nationally recognized expert in health services research. 153 attendees (an increase of 34% over the inaugural event) included EM research groups, along with clinical faculty, other research faculty, fellows, residents, and staff. Additional events include presentations by 13 faculty, residents, and fellows, as well as a poster session that highlighted work from 38 research projects and initiatives. Six outstanding individuals were also honored with special awards for excellence in research. For more information on how Emergency Medicine is creating the future of emergency care, visit medicine.umich.edu/dept/emergency-medicine.